Another preseason, another battle between Chris Treister and Warren Smith to be starting quarterback. ORONO – In conversation, Chris Treister is all business whereas Warren Smith is effervescent. On the football field, Treister wears a full cage on his helmet while Smith wears a clear visor underneath the cage. Warren Smith, who transferred to Maine from Iona prior to the 2009 season, won the starting QB job last year just four days before the season opener. 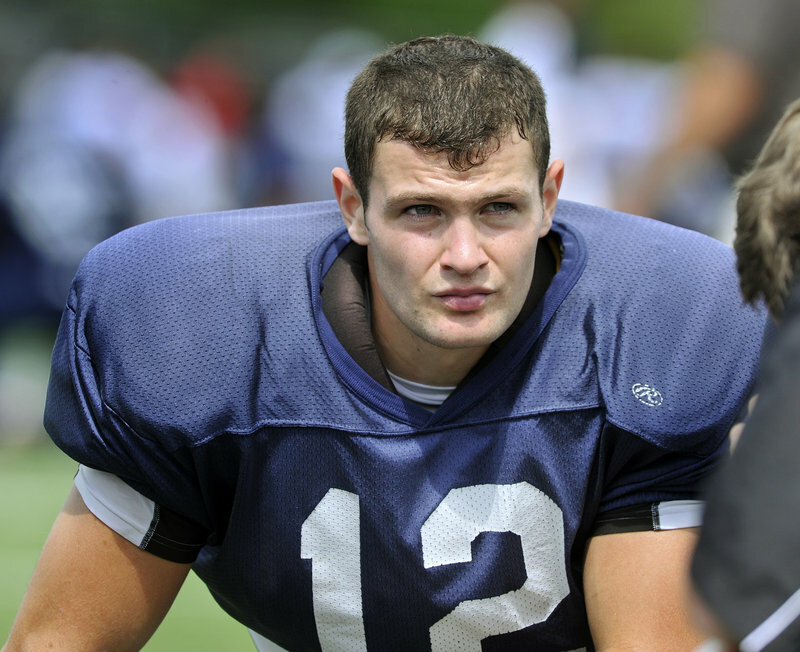 Treister came to the University of Maine by way of an in-state high school program while Smith joined the Black Bears after coming from a college football program that no longer exists. But as each player competes for the No. 1 quarterback job at Maine, the similarities are being defined. Sometimes Maine Coach Jack Cosgrove can’t tell Smith and Treister apart on the football field, whether it’s because they’re each wearing a red noncontact jersey at practice or because of their similar stature. For the second consecutive August, Treister and Smith are in line for the Black Bears’ starting quarterback position. Less than a year ago, Smith was named the starter after nearly a month of preseason practices, four days before Maine’s season opener, a 3-0 loss to Albany. Both have tailored their individual quarterback traits — Treister’s ability to improvise in a tight spot and Smith’s overall creativity — to conform to Maine’s offense. But in order to win the starting position, a decision Cosgrove expects to announce after the Black Bears’ second scrimmage on Aug. 23, one has to differentiate himself from the other. It may seem like the competition is becoming an annual rite, but Treister and Smith believe they’re another year stronger and another year better acquainted with the playbook. “In our program we like to say that each position is open, so there is that element of competition to it,” said Treister, a redshirt senior and a Portland High graduate. “This year’s no different between Warren and me and it’s been like that since when I got here in 2007, when Adam (Farkes) and Mike (Brusko) were in that position. Treister is a quarterback with the ability to create plays, but he doesn’t sacrifice the team’s offensive scheme to be successful. 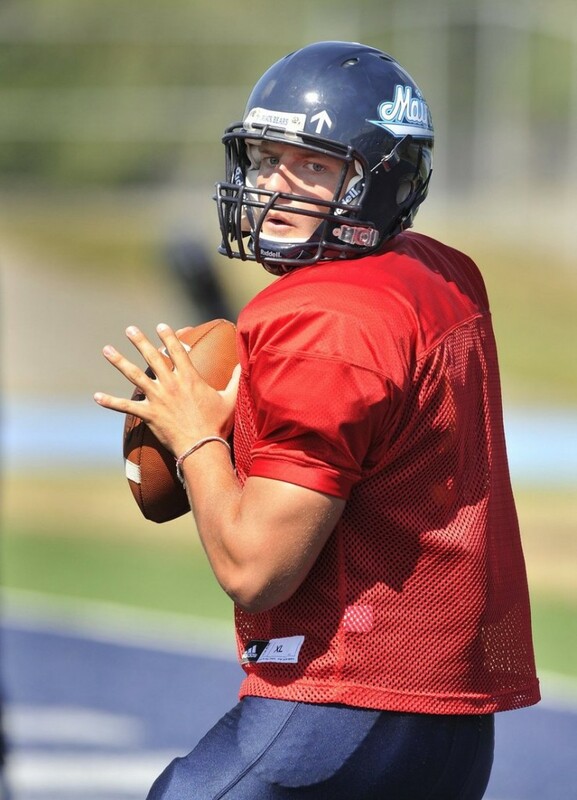 Smith is a quarterback who has worked to tailor himself to fit into Maine’s spread offense. How each has adapted his individual game has made it difficult for the Maine coaching staff to pick a No. 1 quarterback. “Positively, we’ve got two guys that are that close,” Cosgrove said. “That can be viewed as a strength to the football team. Smith believes experience is what separates this year from last year. “We’re more advanced than we were last summer,” said Smith, who transferred from Iona College in New Rochelle, N.Y., prior to the 2009 season. “We’ve both been around the system for two or three years now and I think we’ve got a better feel for it now. At Maine’s first scrimmage on Monday, Treister went 9 for 11 for 84 yards and a touchdown while Smith went 9 for 13 for 60 yards. “Scrimmages are a great way to get live looks in practice,” Treister said. “And although the quarterbacks are in red shirts so we can’t get tackled, there’s more of a game-like situation and game-like scenarios for the whole team to experience. Added Smith: “There’s definitely room for improvement but it was the first time we’d gotten out and played live football in a while. And it was good. Still, Cosgrove can’t remember a summer when there’s been such a hotly contested battle for one position. He regards the position of quarterback as one of the toughest not just in football, but in sports. And somehow, Treister and Smith have to differentiate themselves.